With gumbos and étouffées, it all starts with a good roux. 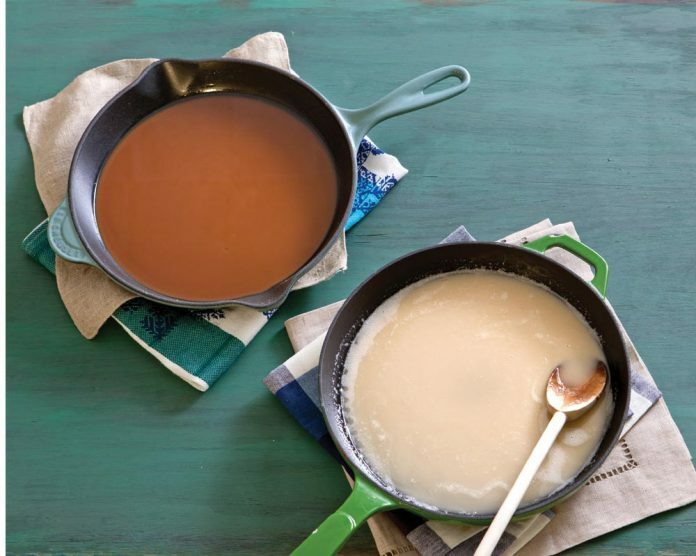 A roux is a mixture of equal parts flour and fat (vegetable oil, butter, and bacon drippings are the most common) that acts as a thickener and flavoring agent. 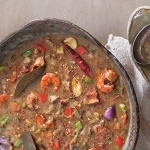 This single gumbo element can range from the nearly flavorless white roux to the complex, nutty chocolate roux. Though it only requires two ingredients, don’t underestimate a roux, not even for a second. 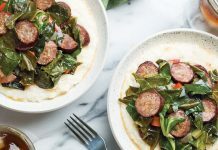 The stovetop method, which many cooks prefer, takes constant stirring and loving attention for up to 45 minutes. A burned roux, which turns black and has grains resembling coffee grounds, can ruin an otherwise excellent gumbo. Thankfully, there’s more than one way to make a roux, including a low-maintenance oven method and even one for the microwave. No matter how you prepare your roux, remember that all of the careful, patient stirring will help make an unforgettable meal. 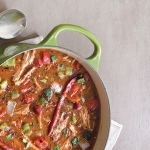 In a Dutch oven or large cast-iron skillet, heat oil over medium-high heat. Add fl our, and whisk vigorously until combined and mixture is smooth. Reduce heat to low, and continue cooking, whisking, until flour has lost its raw smell, but before any golden color or toasted aroma occurs, 4 to 5 minutes. For blond roux, continue cooking, stirring occasionally, until roux is light golden brown, about 15 to 20 minutes. 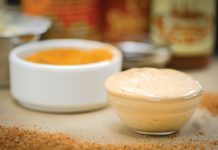 For brown roux, continue cooking, stirring occasionally, until roux color resembles peanut butter, 30 to 35 minutes. For dark brown roux, continue cooking, stirring occasionally, about 45 minutes. As roux darkens, stir more frequently. Remove from heat, and use immediately, or cool completely, and freeze up to 6 months. 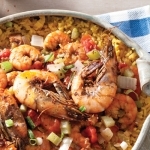 In a large cast-iron or ovenproof skillet, combine oil and fl our. Whisk until smooth. Place roux in oven, and stir every 20 minutes, about 2 hours for a blond roux. Continue cooking, stirring every 5 minutes, until desired color forms. In a 4-cup glass measuring cup, combine oil and flour, and whisk until smooth. Microwave, uncovered, on high about 5 minutes. Carefully remove from microwave, and carefully stir with a wooden spoon until smooth. A blond roux should have formed after about 5 minutes. Continue cooking in 1- to 2-minute increments, or until desired color forms, stirring between each. There really is no short cut to a great roux. You just have to put in the time and work to get it right. You are right .you you can use a whisk to stir until smooth but you need large metal or wooden spoon to get roux from coroners and sides. I prefer wooden flat spoon.. Wondering why the stove top roux is not equal parts? Every recipe I have seen is equal parts of flour vs. fat. 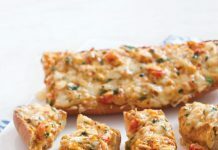 It’s a matter of preference; you could certainly use equal parts flour and oil in this recipe. I always make my roux in the oven, in quantity. Then place the extra in a quart jar and refrigerate. 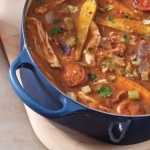 Future gumbo is much quicker; but make it a day ahead…it’s always better the next day. I am in need of a gluten free option (I know that is horrible), but my Dad has Celiac and we have been seriously missing gumbo. Any advice or options on a flour alternative?